Certain populations—including communities of color, residents of high-poverty neighborhoods, and LGBT individuals—have been particularly hard-hit. But all too rarely discussed is the impact the criminal-justice system has on Americans with disabilities. According to the Bureau of Justice Statistics, state and federal prison inmates are nearly three times as likely—and jail inmates are more than four times as likely—to report having a disability as the nonincarcerated population. One in five prison inmates have a serious mental illness. In fact, there are now three times as many people with mental-health conditions in federal and state prisons and jails as there are in state mental hospitals. In addition to facing disproportionate rates of incarceration, people with disabilities are also especially likely to be the victims of police violence. Freddie Gray, Eric Garner, Kristiana Coignard, and Robert Ethan Saylor—all individuals with disabilities whose tragic stories of being killed at the hands of police officers garnered significant recent national-media attention—are but four high-profile examples of a sadly commonplace occurrence. While data on police-involved killings are limited, one study estimates that people with disabilities make up between one-third and one-half of all individuals killed by law enforcement. And according to an investigation by The Washington Post, one-quarter of the individuals shot to death by police officers in 2015 were people with mental-health conditions. What’s more, once people with disabilities are incarcerated, they are often illegally deprived of necessary medical care, supports, services, and accommodations. A recent report by the Amplifying Voices of Inmates with Disabilities Prison Project highlights numerous examples of inmates denied access to needed medications, prosthetic limbs, and hearing aids; individuals with cognitive impairments unable to access medical treatment because they were unable to fill out request forms; inmates who are deaf missing medication delivery because of lack of accommodations; inmates who have sustained injuries due to lack of accessible toilets and showers; and more. Prison and jail inmates with disabilities are also at particular risk of mistreatment at the hands of guards and other correctional employees. A 2015 report by Human Rights Watch documents an epidemic of “unnecessary, excessive, and even malicious use of force” in US prisons and jails that targets inmates with mental-health conditions, through harsh tactics such as chemical sprays and electric stun devices; strapping of inmates to beds and chairs for days at a time; and physical violence resulting in broken jaws, noses, and ribs, as well as “lacerations, second degree burns, deep bruises, and damaged internal organs,” and even death. Moreover, many inmates with disabilities are held in solitary confinement as a substitute for appropriate accommodations. This practice continues despite a large and growing body of research documenting that even short stays in solitary can have severe and long-lasting consequences for people with disabilities, and particularly those with mental-health conditions. 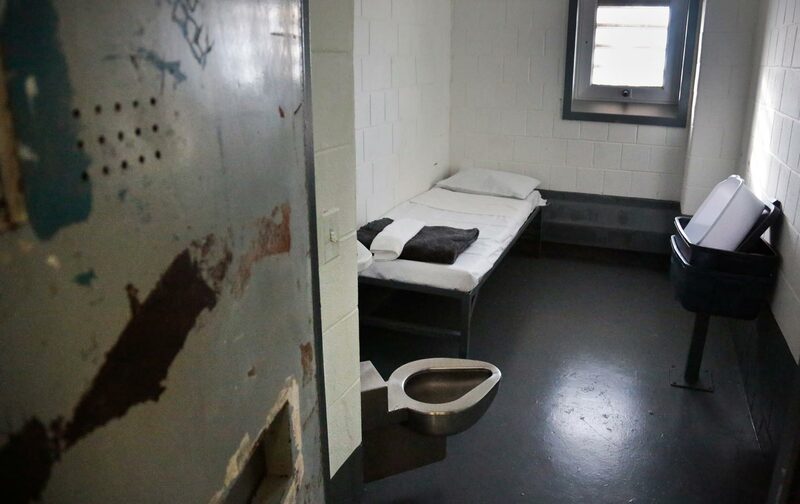 Even individuals who had not previously lived with mental-health conditions experience significant psychological distress following solitary confinement, as the tragic but all-too-common case of Kalief Browder brought to light last year. Browder died by suicide after being held for nearly two years in solitary confinement in Rikers Island on charges, later dismissed, that he had stolen a backpack. First and foremost, reversing this shameful trend will require meaningful investment in our nation’s social-service and mental-health-treatment infrastructure to ensure availability of community-based alternatives. That way, jails and prisons will no longer be forced to serve as social service providers of last resort. But it will also require including disability as a key part of the criminal-justice reform conversation taking place in Congress, and in states and cities across the United States.